We've all seen the horror stories about how many grams of saturated fat and calories there can be in shop-bought sandwich and lunches, and the same goes for snacking on an innocent-looking fruit bar or smoothie when you need a little pick-me-up. So how can you eat on the move - and still stay healthy? The easiest solution (unless you are an absolute whizz at reading nutrition labels) is to pack your own lunch and snacks for the day ahead - be it during the working week or on a trip out with the kids. And as an added bonus you'll likely save money and, with the right lunchbox, cut down on wasteful packaging too. Whole grains: Wholemeal pasta, pita, wrap, crackers, couscous or oat cakes. There's an increasing trend towards environmentally-friendly lunch boxes that reduce the waste of wrappings such as cling film and foil - and the need for lots of small disposable pots. The dishwasher-safe Yumbox is a good example of this, with a leakproof silicone single lid that seals the individual compartments so you can pack wet foods like yoghurt safely. 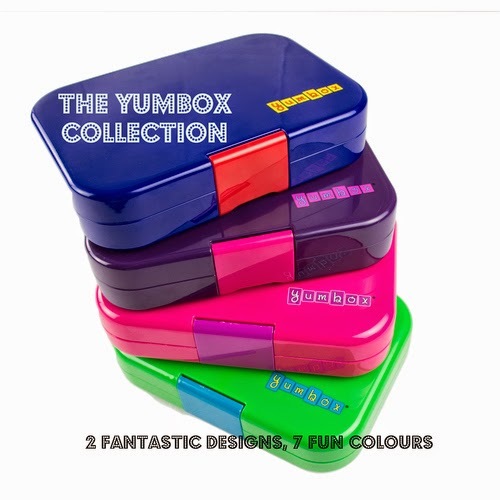 The Yumbox is also BPA- and phthalates-free (nasty plastics chemicals that lurk in some food and drink containers) - and comes in loads of colours with removable, illustrated food tray guides to help you pack a balanced meal for yourself or your kids. Choose between the 'Classic' tray, divided into five ½ cup portions of the key food groups, and the 'Panino' Yumbox, which has a tray divided into a large (2 cup) portion (perfect for a sandwich or salad), plus two 1/2 cup portions and a dip well. I put my Yumbox Classic through a little road test today (as my kitchen is currently being rebuilt and off limits at lunchtime) and I want to avoid piling on the pounds with pricey lunches out. I packed in some wholemeal pitta, a bean salad, carrot sticks, strawberries, a little clutch of almonds and some Greek yoghurt topped with blueberries (I gave it a good shake to see if I could splat the yoghurt across anything, but failed!). It looked very appetising and the kids were rather jealous as I packed it up (they'll be taking turns with it this week! ), so it gets the 'winner, winner, chicken dinner' thumbs up from us! Do you struggle with packed lunch ideas for you and your family? How about portion control? Perhaps you need a box of snacks to see you healthily through a day trip? 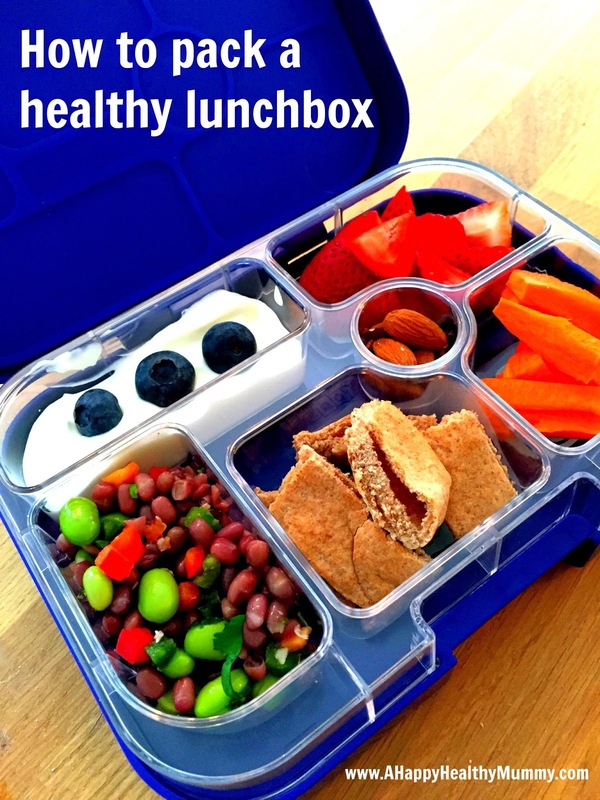 What would you pack in your Yumbox to stay happy and healthy? Comments in the box below please. Oh they look fun, those yumboxes! A good investment for the summer, the season of packed lunches! To be honest, we're fighting over it! Both the girls view it as the best lunchbox to use - and I'm rather partial to it too. We're taking turns! !